Therefore I decided to start my online business, Reverie Island, selling kids stuff as I thought it would be a great market. I did an e commerce site for transaction to be carried out and it was basically a B2C business. It was tough being a self-employed as I was in a one man show and I had no clue of making it a successful one as I did not have a successful business system to follow. It was really a trial and error. How do we determine a person is successful? In my opinion, a person is considered successful must have health, time and money freedom, having their love ones around to enjoy the fruit of his success and ability to contribute back to the society. Finally, I come to know a business system which first Wealth is Health and pays me base on result not on time. It has allow me to spend quality time with my family and friends as well as myself. With more wealth, we can have the ability to help others. A successful business must have met the following criterias. 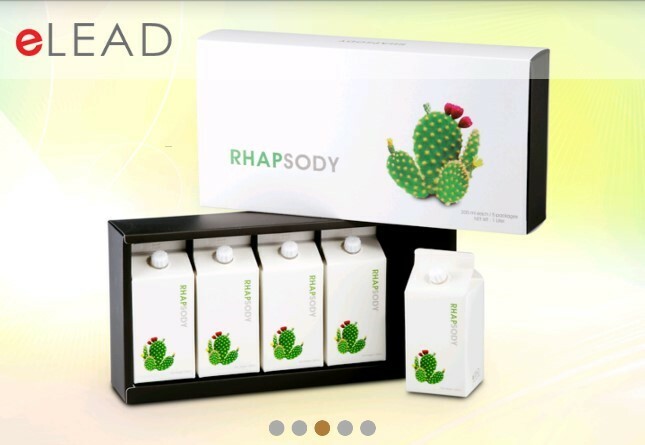 Our business partner is eLEAD Global. Elead is an e-commerce shopping platform on Healthy Fast Food formulated base on the science of Nutritional Immunology founded 30 years ago by World Renowned Nutritional Immunologist, Dr Chen Jau Fei. Our series of Healthy Fast Food is proudly manufactured by Extra Excellence Manufacturing (S) Pte Ltd who pride on food safety for its consumers. 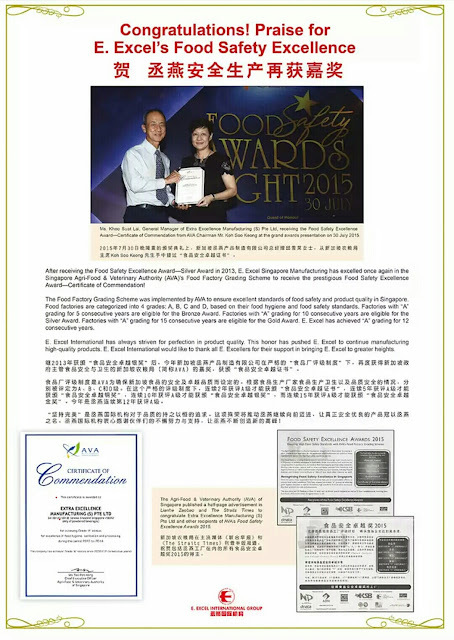 Extra Excellence Manufacturing (S) Pte Ltd has consecutively received 14 years of Grade A status in its Food Factory Grading Schemes thus winning the Food Safety Excellent Award – Certificate of commendation from Singapore Agri – Food & Veterinary Authority (AVA). Extra Excellence Manufacturing (S) Pte Ltd is also a self-reliant company which self-produced its food for their manufacturing and does its own distribution. This ensure that costing is strictly controlled within the company for the benefit of the consumers. With a demand for food safety due to frequent food contamination even in organic food and the increase in the number of people making purchase online due to convenience, our Healthy Fast Food business provide the solution of safe Healthy fast food and great convenience for consumers worldwide with just a click away! Attractive ROI up to 50% of passive income because we want to be paid on result not on time. For full details on our attractive ROI, register NOW (FREE till further notice)!!! We believe that 2 is better than 1 and teamwork is important in building our success business system. Our team is very committed in constant learning so that we can add values to our team to achieve greater success. Are you ready to embark on this successful business system with us? Please follow the steps below to REGISTER. Congratulations for making the right decision to be the master of your own destiny! Your weight is a result. Your wise decision TODAY will bring you close to your dreams and success. ### PLEASE CONTACT US AFTER REGISTRATION FOR US TO SUPPORT YOU FURTHER IN YOUR SUCCESSFUL BUSINESS SYSTEM.